This week we have been using our new pole tent. 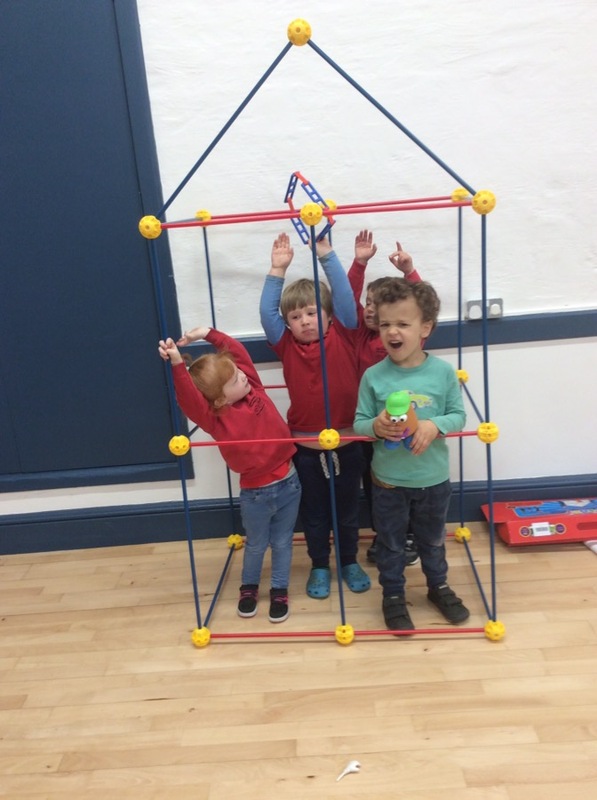 The children have been helping put it together and making various different shapes with it. 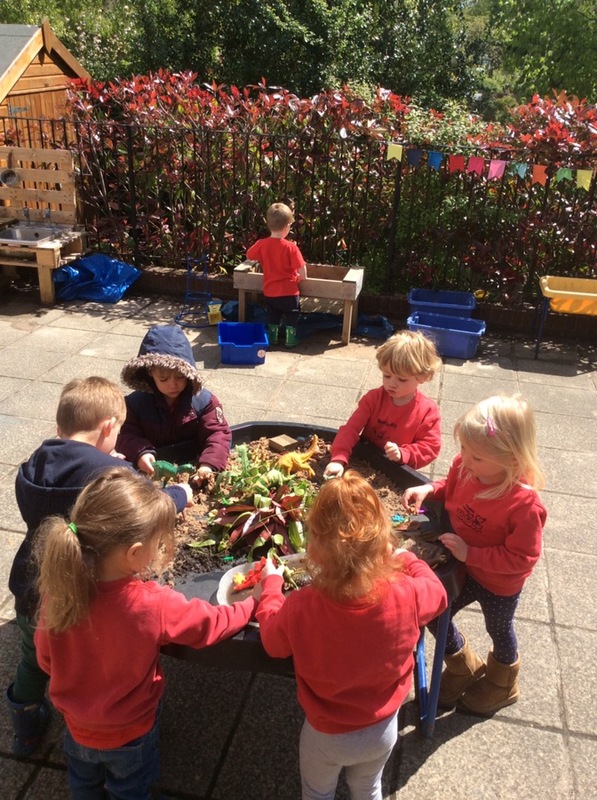 On Tuesday Issy created a fantastic ‘dinosaur world’ in the tuff tray. The children took the dinosaurs on a little hunt for the letter d/D. 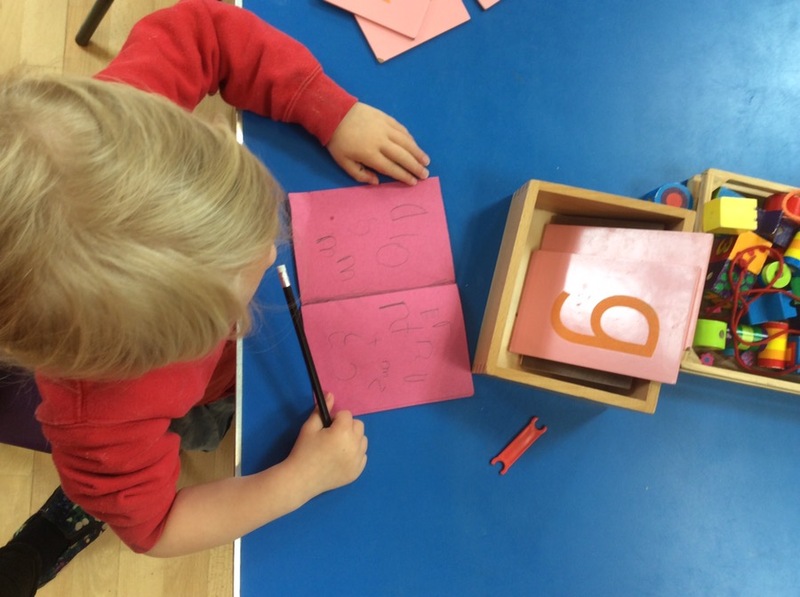 Some of the children have enjoyed making their own little books, and writing letters to family and friends. 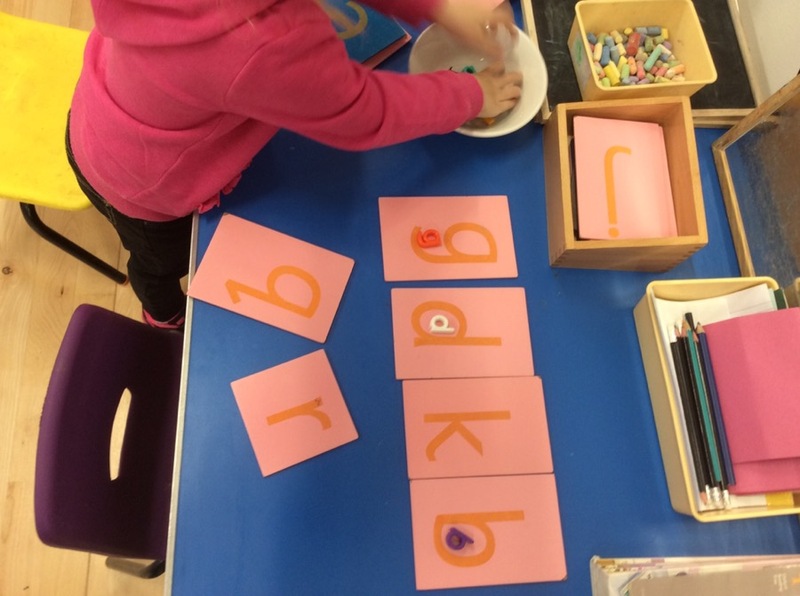 While some of the younger children made up their own game of matching letters. 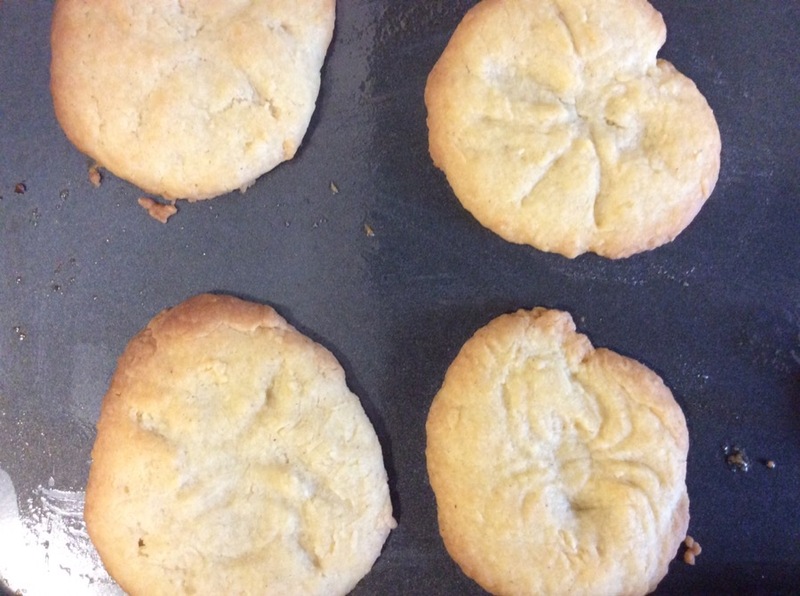 Today we all made fossil biscuits using imprints of some of our small world bugs and insects. All the children joined in discussing ingredients, weighing, stirring and mixing.